Splash pages, you gotta love 'em. A blank canvas where the artist can hit you with a large dose of illustrated 'wow'. 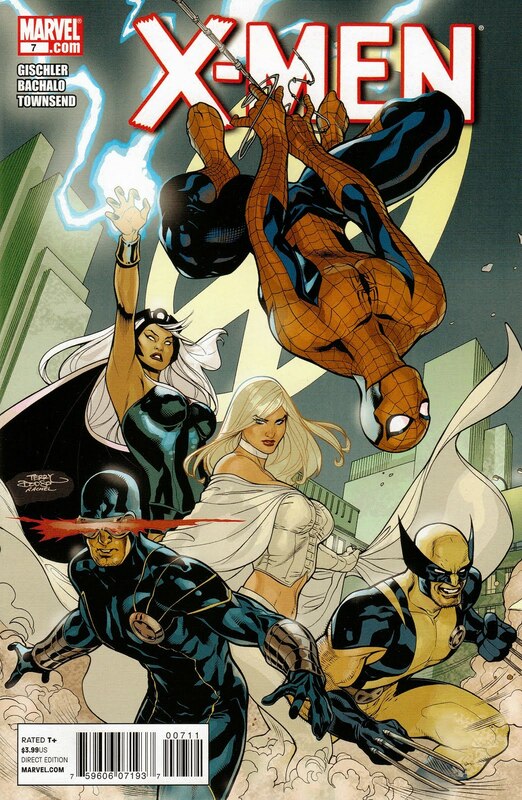 This week I'm killing two birds with one stone; rebalancing the recent DC 52-mania on IADW with a bit of Spider-Man and slipping in a bit of Chris Bachalo art on the sly to keep my addiction to his work under control. See? It's win-win! I'm going to level with you, I've never been a big fan of 'bug-eyed Spidey' - preferring the more John Romita kind of style - but Chris really made it work in his recent spider-run and here in X-Men Vol3 #7. 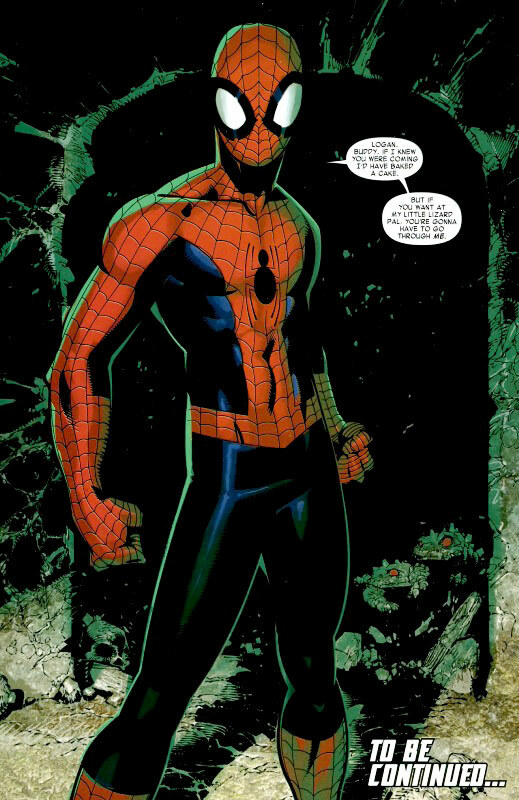 Watching Wolverine fly out of the sewer tunnel he was spider-punched from was cool enough on it's lonesome, then to follow it by a splashie like this that nails Spidey as a wispy kinda guy and not Hawkman in spandex - well it just makes a spider-powered dude seam that bit more 'realistic'. As if Terry Dodson's nicely done Spidey hanging on the cover wasn't enough! I agree with you Dan but I like the big-eyed Spidey look. Thanks for the comments Craig - I think after this I am more of one too! Another normal eyed Spidey artist I want to mention as well is Ross Andru - his Spider-Man is so unsung, but was epic stuff for so many years.